Still Alive after Amateur Transplants – Suman’s first solo album since the band split in 2011, features over an hour of new parody songs! Contained within, 38 tracks of hilarious parodies of well-known songs in a range of styles including rock, pop, ballads, rock-pop ballads; there’s nerdy jokes, digs at an ex-partner, dance versions, 4-part harmony, & even Christmas songs! 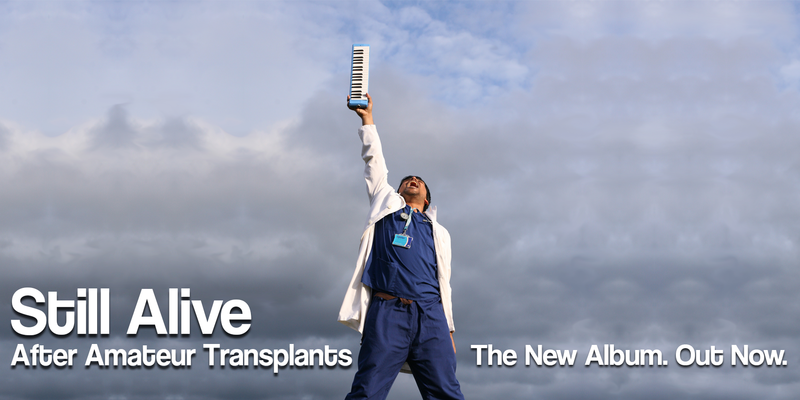 Still Alive after Amateur Transplants is available in both physical and digital versions.